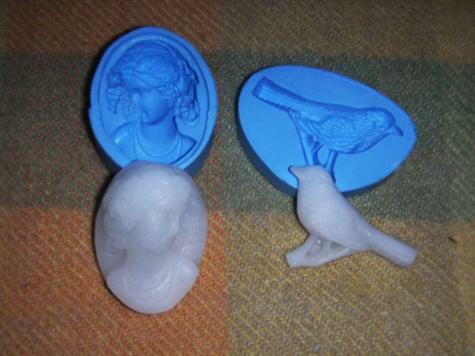 Joey used Plastimake in a Cameo mould, it captured the details quite nicely! Plastimake will stick to some plastics, but not others. It won't stick to most commercially available moulds that we've tried. Check out these colourful flowers made in an icing mould for another great example of this technique.